With more and more people cutting the cord, streaming media devices such as Roku, Fire TV, and Apple TV are continually gaining in popularity. This is in addition to smart televisions, which can include some of the same apps and functionality. Roku boxes are a popular option not only because they are affordable, but also, they have access to the Roku Channel -- a totally free offering of popular movies and other media. If you don't own a Roku box, you cannot watch that complimentary content, right? Actually, starting today, anyone can view the movies online -- no Roku hardware needed! "For those of you who are new to The Roku Channel, it offers unlimited access to comedies, award-winners, cult classics, live news and much more. You can stream as much as you want from an ever-changing selection of entertainment. 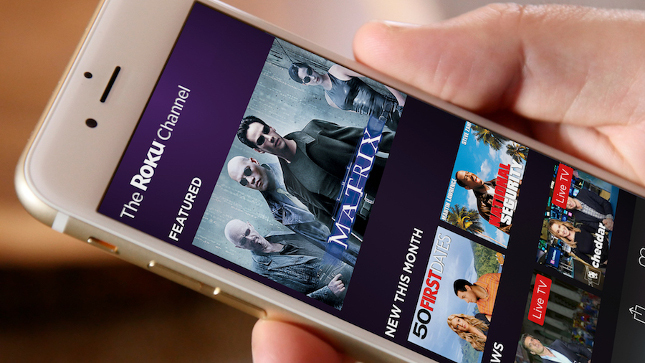 And now it’s easier than ever to watch -- simply visit TheRokuChannel.com to start streaming after you log in or create a Roku account," says Rob Holmes, Roku. As someone who has embraced Apple TV and doesn't own a Roku, I decided to give it a go. I went to the Roku website and registered for a free account. After registering my email address and establishing a password, I was able to watch The Matrix instantly. This is one of my favorite movies, so it was particularly cool. Currently, the entire Matrix trilogy -- and more -- is available to stream for free during August. When Roku says the streaming content is available on the web, it doesn't just mean on a desktop operating system. Actually, I was able to stream a movie on my iPhone. Yes, this is totally free premium media on mobile. There were no hoops to jump through either -- it was easy as tapping a play button. Amazing. While I appreciate the free content from Roku, I am puzzled by the move. Why give away one of the perks of owning Roku hardware to those that don't? With that said, when signing up, they did want to spam me with offers, but I unchecked that box. I suppose Roku gains the ability to market to the folks that leave the spam box checked.